This guest column is by Arnav Patel, an intern at TARS, a chatbot company in Bangalore. I realized that, in India, WhatsApp isn’t a feature or an app like Uber or Swiggy but rather a basic utility like Internet or cell reception. While those in the Western world were first exposed to the Internet through web pages on the desktop, Indians came online through WhatsApp. Today, if you want to stay in touch with your family and friends, you need WhatsApp. The phrase “WhatsApp me” has replaced the phrase “call me” or “message me” for millions of Indians. The welcoming green interface, with its ubiquitous “Type a message” bar at the bottom is our home on the Internet. That innocuous radio ad made me realize that India is ready for the chatbot revolution. Online user engagement today generally occurs through websites or apps. But, if you are the average Indian netizen, both of these channels offer a bad user experience. You probably own a relatively cheap smartphone, so past a set of core apps that you already use, you don’t have the space to download new ones. To try out a new service, you have to uninstall an existing app and install the new one. Don’t like it? Uninstall the new one and reinstall the old one again. Too much effort? You could use your web browser, but who wants to do that? The mobile web is slow and clunky, and very few of websites are optimized for your phone, so you will probably spend half your time pinching to zoom. Suffice it to say, the current model of engaging users is not sustainable. New Indian companies find it increasingly hard to gain and more importantly keep users. Messaging could solve many of these problems. 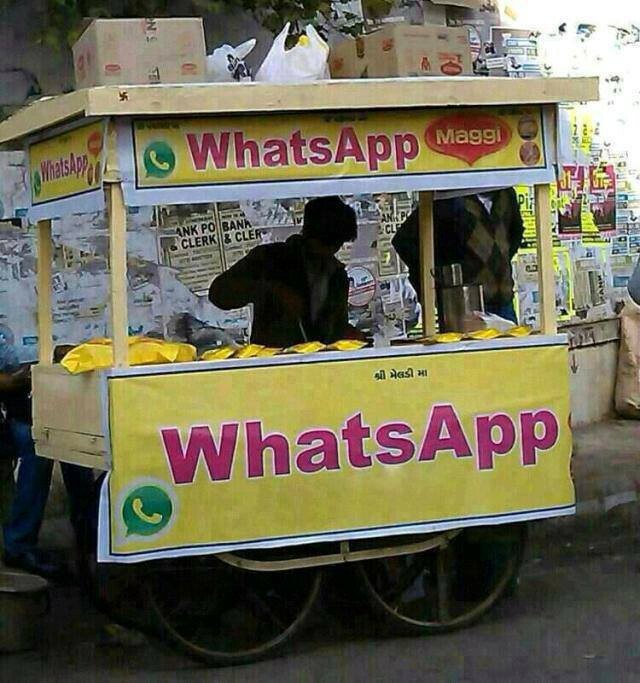 We already use messaging for business in India. Whether it’s talking to another startup or to your local sabziwallah (vegetable seller), you can get a fair number of services done over WhatsApp, provided you have the right numbers. But responding to thousands of queries over WhatsApp, manually, is not scalable for businesses. Chatbots are essentially apps that talk back to the user. You can build them across a whole host of existing platforms — Messenger, Kik, Telegram, and even the web-browser — so users don’t require a new app to use them. They are optimized for mobile use, they never tire, they always listen, and they require little to no maintenance. Imagine if you replaced your web-based order process with a chatbot. The webpage would have to load once, the user would not have to pinch and zoom to find the appropriate button to press. New users would be far more likely to return because their experience would be better. Chatbots make the Internet a better place for everyone. The user gets a familiar interface that has no friction associated with its adoption. The company, as a result, gets higher user engagement without the hassle of a human dependent back-end. In the rest of the world, chatbots may be a craze that could die out soon. For India, though, they will revolutionize the way we use the Internet. Arnav Patel is a team member at TARS, a Bangalore based startup that builds chatbots. He is also a full time college student.